With the warmer sunshine coming, spring break and vacations are right around the corner, who doesn’t have a break on their mind? 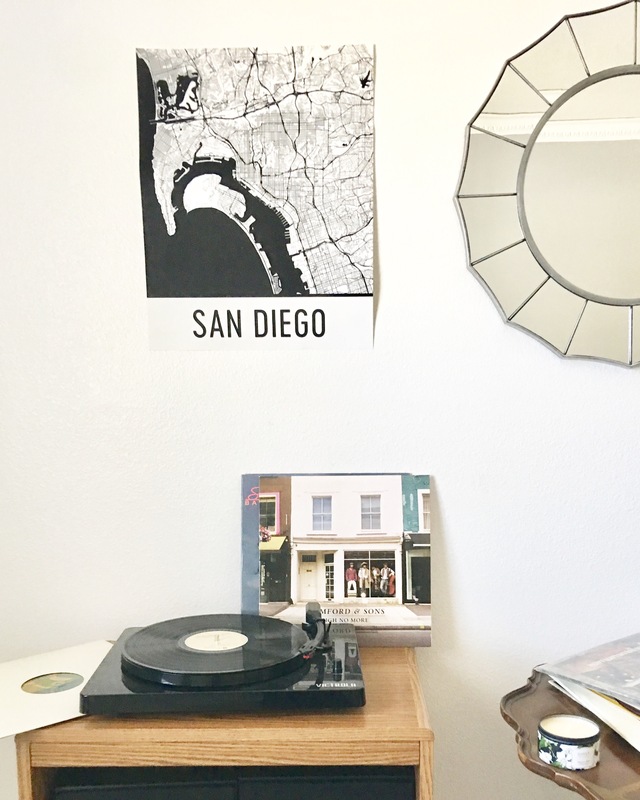 I’ve been doing some spring re-arranging and decided to decorate this little corner of the house with fun prints and pieces (adult spring break haha) and thought a it would be fun to do a post on vacationing in San Diego! With a variety of different neighborhoods all with their own vibes, Instagram-worthy photo ops, killer beach views and more, San Diego is the ideal California vacation spot. Whether you’re an avid outdoor adventurer, a foodie or just eager to cross well-known spots off your bucket list, there’s something for everyone. If you’re planning a trip down the coast, check out my five must-see stops! If you have the time, head to downtown and hop on the ferry across the ocean to Coronado. After being a Southern California native for my entire life, I finally visited for the first time for my birthday last year. Coronado is an absolute blast if you have a day to enjoy it. From the collection of commercial and local businesses that line the streets to the quaint homes and over bounding greenery, it feels like a summer getaway town. Must See: The iconic Hotel Del Coronado! There’s something to do here year round, even if you don’t book a stay. The pristine beaches that make up the perimeter of the hotel are perfect to drink, lunch, bike ride and tan. This makes a great stop for both family fun days and romantic getaways. For your inner hiker! TP is the place to be if you want to soak in some Vitamin D and some insane beach cliff views. There’s a path for all hiking skill levels and what could be better than charging into the beautiful Pacific after getting your sweat on? Must See: I think the best time to go is early AM to get in a hike, beach side picnic and a dip in the ocean. This area of San Diego is so much fun, especially if you’re in your 20s and 30s. The weather is beautiful and not too hot 90% of the time and the cities have a very beachy feel to them. They’re great areas for walking and biking around. There are a ton of great local restaurants and shops to see! Must See: In Encinitas, check out the nightlife on D Street. There are a ton of great bars within walking distance of each other. In Solana Beach, Cedros Ave. is a must to satisfy your shopping urge! If you’re all about getting your dose of culture and knowledge with your vacay, Balboa Park is the way to go. The park is huge and is filled with museums covering a variety of topics (art, technology, history), live performances, classes, gardens and more! The area is beautiful, with a ton of different plants and architecture. Fun fact: Carl and I actually took our engagement pics here! And if you’re a local playing tourist in your own town, make sure to check out the perks for residents! North Park is a quirky neighborhood in South San Diego made for the foodie in you. The neighborhood is home to a handful of well-loved local eateries, coffee shops and craft breweries. Bring your appetite and plan for your Instagram feed to be filled with aesthetic, mouth-watering treats! Must See: I’m obviously a coffee (and IG) addict, so I’m a sucker for stops like Holsem Coffee and the newly opened Holy Matcha. Also noteworthy is the farmer’s market! 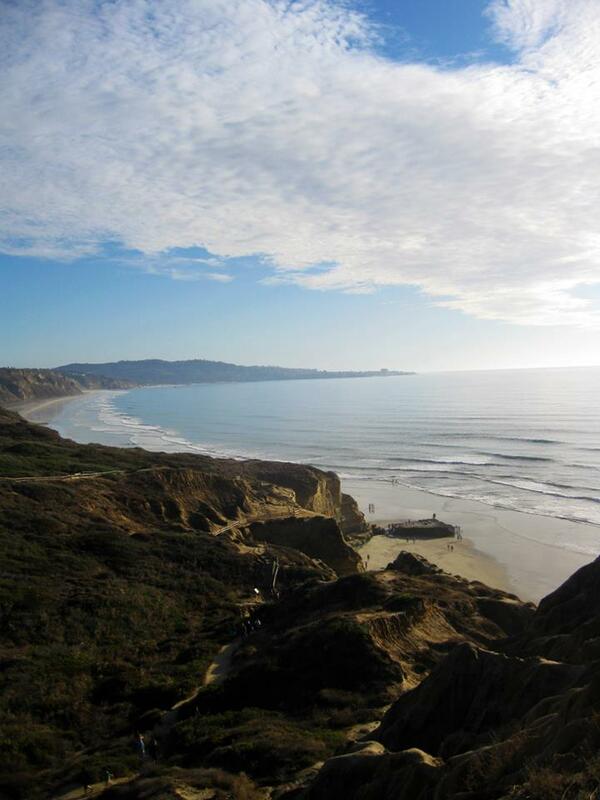 Wherever you decide to go, you can’t really go wrong in San Diego! 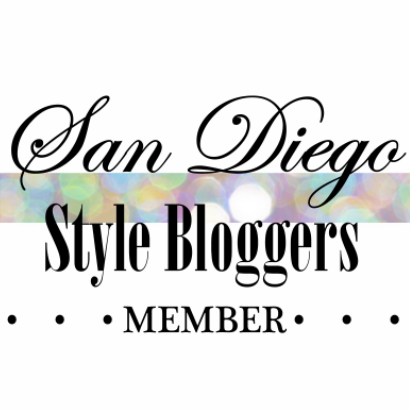 Let me know where your must-see spots in SD are or if you check out any of these! *This post is a collaboration with Modern Map Art and contains affiliate links. As always, all opinions are my own! and contains affiliate links.